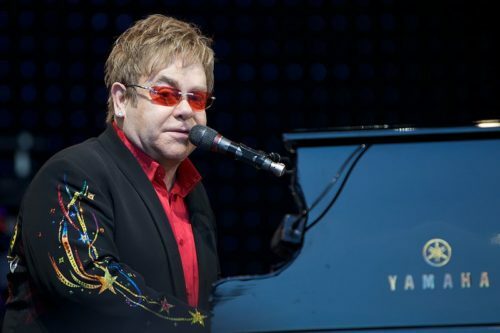 Elton John announced today, in an event with Anderson Cooper, that he will retire from touring after nearly 50 years of being on the road nonstop. “It’s a way of saying thank you and it’s a way of going out with a bang. I don’t want to go out with a whimper, I want to go out with a big bang,” he said. “I want to leave people thinking, I saw the last tour and it was fantastic,” he added. John wants to focus on his family. The 70-year-old married partner David Furnish in 2014, with whom he has two children. He suffered from a rare bacterial infection last year while touring in South America that could have been deadly. But John said he is not retiring, as has been reported by some media outlets, due to ill health. “They said I’m retiring because of ill health, and if you’re going to do 300 shows, you’re not in ill health. I’m in great health,” he said. He made note that he is not done as a creative person, planning to continue making albums and musicals. “I will be creative hopefully up until the day I die,” he proclaimed. “But mostly I’ll be taking my kid to soccer academy, which is the most important thing,” John said. “This was decided in 2015 in the South of France, when I said, ‘Listen, I can’t go on like this forever,'” he revealed, saying it took two years to plan his exit. Watch John make the announcement in the video below.